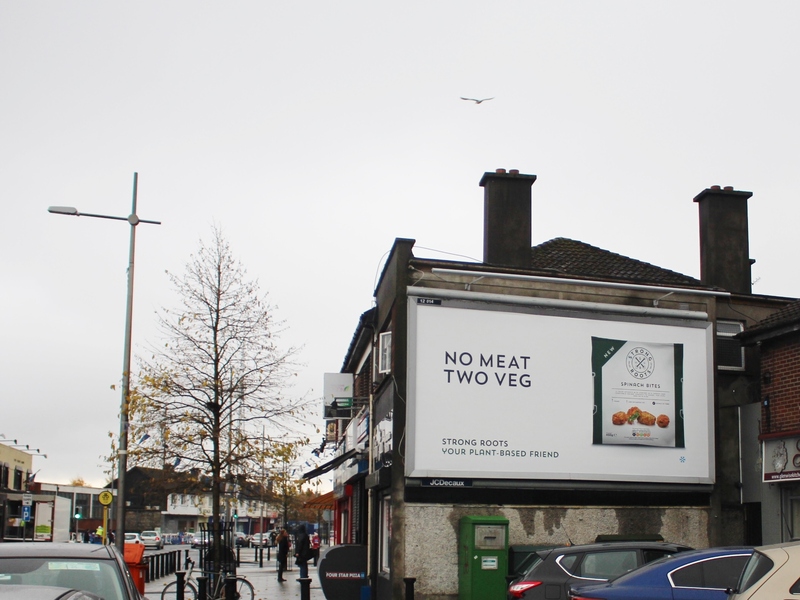 New to the OOH, Strong Roots has harnessed the medium’s visual scale and broad reach as it launches its first ever OOH campaign. 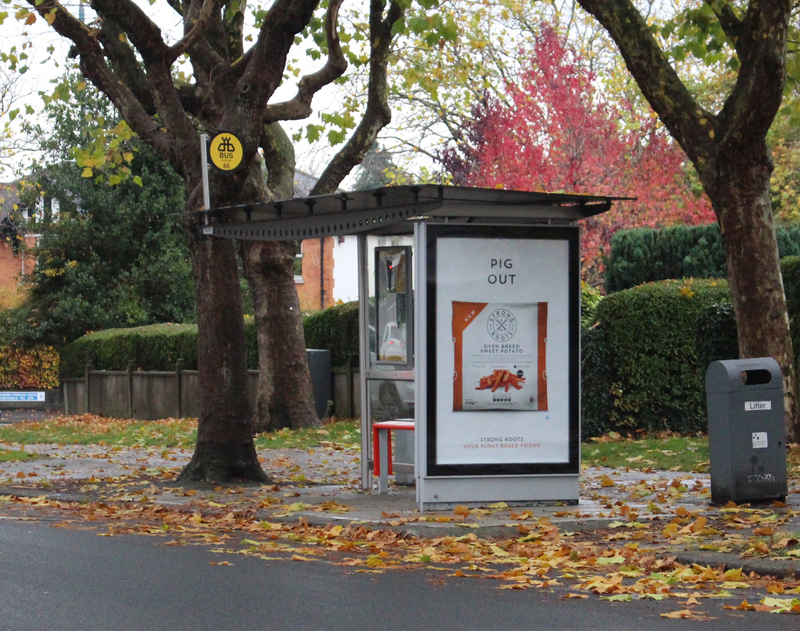 The campaign utilises Large, Roadside formats alongside Bus Shelter 6 Sheets to increase the coverage and frequency of the campaign. The Irish food company that specialises in healthy frozen vegetable products reflected its brand purpose of keeping it simple within its advertising campaign. 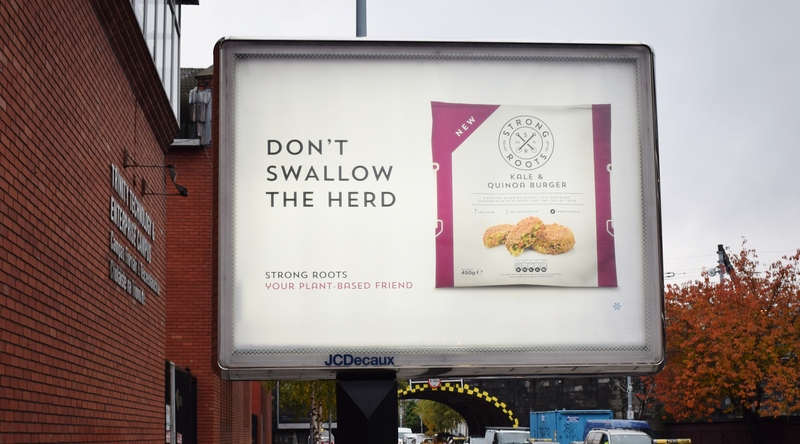 Three Out of Home creatives were produced to highlight the veggie-based products with humorous taglines to drive memorability. Don’t Swallow the Herd, Pig Out and No Meat, Two veg complete the creative copy for the various food products. The simple monochrome base of the design allows the colourful Strong Roots packaging to stand out and puts the product front and centre, capturing the attention of commuters and passers-by. Winter Chills Heat up Solpa-Sinus Campaign Klarna – Forgot?